PaperCraft's patent application, foreign patent and US trademark IP folders are the most durable in the industry. 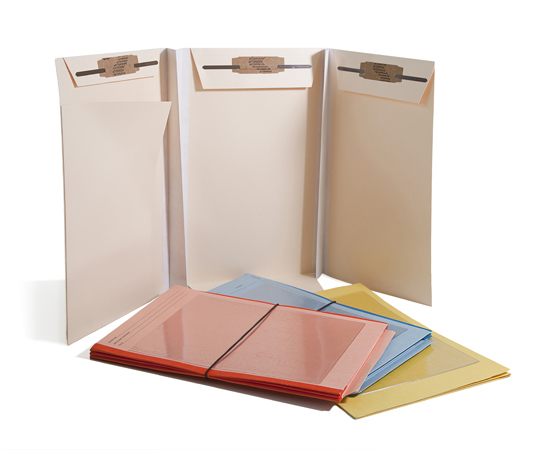 Constructed from heavyweight fiberstock and tear proof tyvek gussets, our IP folders are engineered to endure the most demanding conditions while keeping your critical documents organized for easy retrieval. 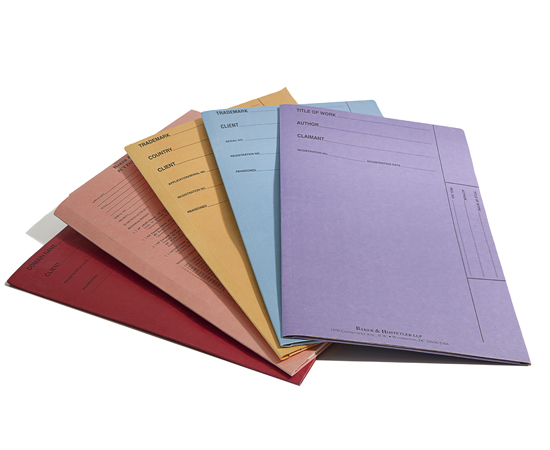 You can order from our large selection of in-stock, ready-to-deliver IP folders or custom make them to your firm's specific requirements. How can I customize my IP Folders? We’ve got a large list of customization options. We work with you to customize your folders to your firm's unique requirements. To identify your files, PaperCraft can print your firm name and logo on the front. 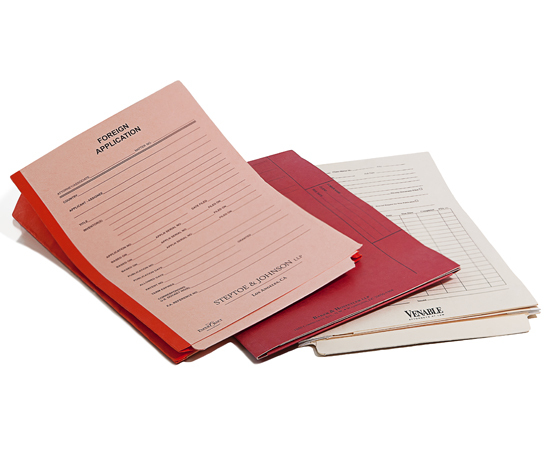 We can also print your IP folders with your docket form. You can also add special features like fasteners, pockets, elastic tie closures, clear pouches or a CD holder affixed on the folder. Whatever you need, we’ve got that covered.